31 January 2019: Lead-acid battery company Power Sonic announced on January 18 it had opened a 4,600m2 warehouse in Reno, US, which will boost its distribution capabilities in Canada and give it a logistical advantage for incoming containers from Asia, battery division president Brian Crowe told BESB. The Reno warehouse is Power Sonic’s sixth battery warehouse operation, joining its facilities in San Diego, Illinois, Miami (as a third party), the UK and France. “Power Sonic anticipates unprecedented growth in the coming year, and this growth necessitates a large new facility. 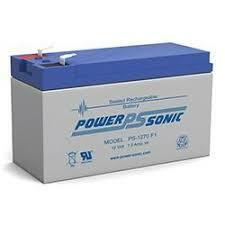 Power Sonic is dedicated to maintaining and expanding its footprint in the battery industry,” he said. Power Sonic’s range of batteries included sealed lead-acid, lithium iron phosphate, nickel cadmium and nickel metal hydride chemistries before it was taken over in January 2018 by the investment management company Blackbird Group, which announced it would venture into lithium-ion products as well. The company also announced in January 2019 a line of Super Sport batteries, using lithium ion technology. Batteries International has been serving the energy storage and battery industry for over 25 years and has a well deserved reputation as being an authoritative source on all aspects of the industry.